IN THE KITCHEN WITH PIP! I’ve been visiting over at my friend Phillipa Fiortetti’s blog, where she’s doing a series on writers talking about cooking. 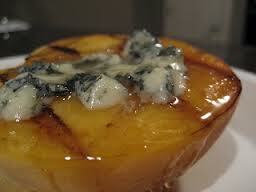 I did Peaches with Blue cheese and Honey. Sounds a bit weird but tastes divine! Phillipa and I met in 2008 at the Hachette/QWC manuscript development program. Pip then published The Book of Love and Fragment of Dreams and now her latest For One Night Only. Favel Parrett was part of our group too. She’s published the beautiful Past The Shallows with the second book due any moment now. Last night I went to the launch of another of our alumni, Azra Alagic. Her book Not Like My Mother is a creative non-fiction retelling of the horrors her family endured living through the Balkan wars and how this trauma has been passed down through the generations. And that’s just a few of our number. So proud of them all! PROCRASTINATION, PERFECTIONISM AND A HARSH INNER CRITIC: The Enemies of Writing and How to Defeat Them!